As a genre it blends the sound of Western musical styles such as country with that of rhythm and blues, leading to what is considered “classic” rock and roll. Some have also described it as a blend of bluegrass with rock and roll. 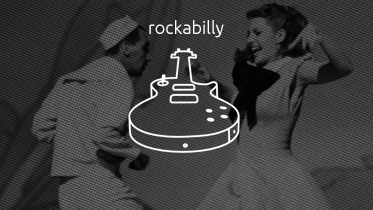 The term “rockabilly” itself is a portmanteau of “rock” (from “rock ‘n’ roll”) and “hillbilly”, the latter a reference to the country music (often called “hillbilly music” in the 1940s and 1950s) that contributed strongly to the style.